The rare mint set of the first euro coins from San Marino. 1, 2, 5, 10, 20, 50 cent, €1 and €2. In official folder. Spain's last issue of pesetas. 8 coins in official mint holder: 1, 2, 10, 25, 50, 100, 200, & 500 pesetas. The Ministry of Finance has decided to close down the Royal Mint of Belgium at the end of the year, making this the last coin set ever to be struck at the mint. Although Belgium will continue to issue coins, they will be made elsewhere, by either a private company or another mint. 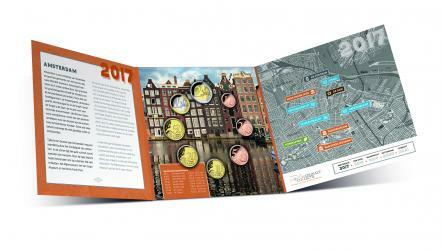 The set contains the 8 Belgian coins of 2017 in BU version, as well as the 2 commemorative coins of €2 for the bicentenary of the Universities of Ghent and Liège (this coin was issued in April 2017). The three €2 coins are lined up in the set, with the €2 coin with the effigy of King Philippe 2017 in the middle. Each set also has two €2 commemorative coins: Berlin - Charlottenburg Palace and the 100th birthday of Helmut Schmidt. 10 coins per set, 50 coins in total. Set also has two €2 commemorative coins: Berlin - Charlottenburg Palace and the 100th birthday of Helmut Schmidt. 10 coins per set.